This is an inherited disorder that affects the connective tissue- the fibers that support and anchor your organs and other structures in one's body. People with Marfan syndrome are usually thin and tall with disproportionately long legs, arms, fingers and toes. Marfan syndrome affects the heart, eyes, blood vessels and skeleton. 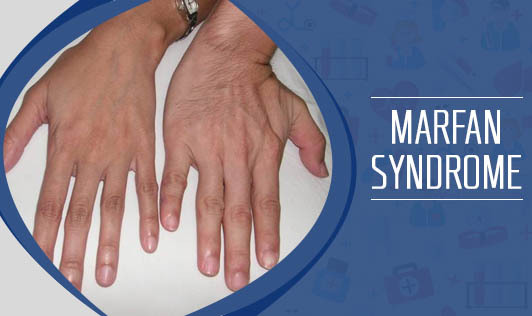 Marfan syndrome is caused by a defect in the gene that enables one's body to produce a protein that helps give connective tissue its elasticity and strength. There is no specific laboratory test such as a skin biopsy or blood test to diagnose Marfan syndrome. The doctor or geneticist relies on observation and a complete medical history and examination. If you think that you or your child may have Marfan syndrome, talk to your doctor at the earliest.